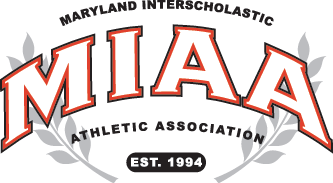 It a MIAA B Conference basketball thriller, Tuesday in Laurel, Boys’ Latin clinched the top seed for next week’s league playoffs with a remarkable, 68-67, come from behind win over host St. Vincent Pallotti. Pallotti (19-6, 12-4) maintained a lead throughout most of the game, leading by as many as 12, and holding a seven point advantage in the fourth quarter. However, Laker senior Casey Rees scored 16 of his game-high 30 points in the final quarter to fuel a rally. Then, in the final 34 seconds, Logan Wisnaukis pulled the Lakers within one with a deep three-pointer and Jamal Perkins followed with a go-ahead basket to put BL over the top. Pallotti’s Marquise did his best to stem the comeback as he dueled with Rees, scoring 13 of his team-high 25 points in the final quarter. Boys’ Latin (21-4) improved to 16-1 in the B Conference with just one regular season game to play. It will be the top seed for the playoffs, having a first round bye and hosting a semifinal game next week. Pallotti is now tied for second place with Annapolis Area Christian, as they fight for the other first round bye. Both squads have two games to play, including a head-to-head matchup on Thursday. Pallotti will close its regular season at home against Chapelgate on Friday. Before hosting Pallotti, AACS will play at Gilman on Wednesday night.